Sensex and Nifty ended at record highs led by a rally in shares of banking, auto and financial services companies. Domestic equity benchmarks ended at record highs led by a rally in shares of banking, auto and financial services companies. The surge to all-time high levels came after the India Meteorological Department said that the country is likely to receive average monsoon rains this year. The forecast raised expectations of higher farm income. 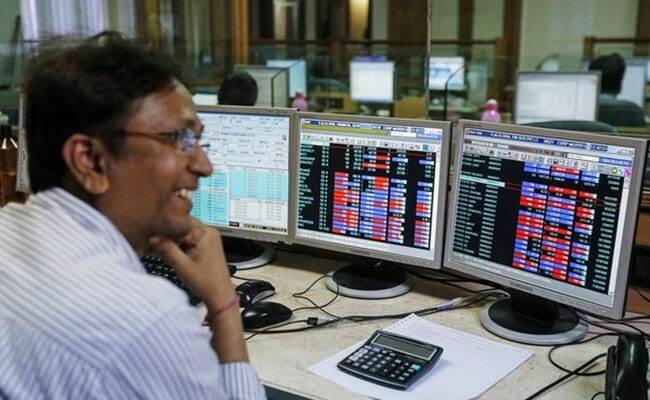 The Sensex and Nifty logged in a fourth straight session of gains with the Sensex rising as much as 458.50 points to hit a record high of 39,364.34 and the NSE Nifty 50 index advanced as much as 116.50 points to record high of 11,806.85. The S&P BSE Sensex rose 370 points or 0.95 per cent to settle at an all-time closing high of 39,275.64 and the NSE Nifty 50 Index climbed 0.83 per cent or 97 points to shut shop at record 11,787. The rally to record highs is on the back of foreign institutional investors buying shares in Indian markets after US Federal Reserve changed its stance from hawkish to dovish, Prakash Pandey, head of research at Fairwealth Securities, told NDTV. Expectation of an average monsoon by the met department also augurs well for markets as food inflation will remain low which might lead to the Reserve Bank of India lowering the interest rate by 25-40 basis points going ahead which will boost liquidity in the financial system, added Mr Pandey. All sector gauges barring the S&P BSE Realty Index ended higher led by the S&P BSE Bankex Index's 1.6 per cent gain. Finance, telecom, capital goods and consumer durables indexes also rose around a per cent each. Mid- and small-cap shares underperformed their larger peers as the S&P BSE MidCap Index rose 0.1 per cent and the S&P BSE SmallCap Index advanced 0.4 per cent. IndusInd Bank was top gainer in the Nifty 50 basket of shares, the stock rose 3.95 per cent to close at Rs 1,818. ICICI Bank, Titan, ONGC, Adani Ports, Grasim Industries, Asian Paints and Larsen & Toubro were also among the gainers. On the flipside, Wipro, Cipla, GAIL, Tata Motors, Infosys and Zee Entertainment were among the laggards. The overall market breadth was neutral as 1,284 shares ended higher while 1,285 closed lower on the BSE.